A Chinese Long March-3B rocket successfully launched two new-generation satellites on Saturday, July 25, for the country’s homegrown global navigation and positioning network. Liftoff occurred at 8:29 a.m. EDT (12:29 GMT / 8:29 p.m. Beijing Time) from the Xichang Satellite Launch Center located in the southwest China’s Sichuan Province. 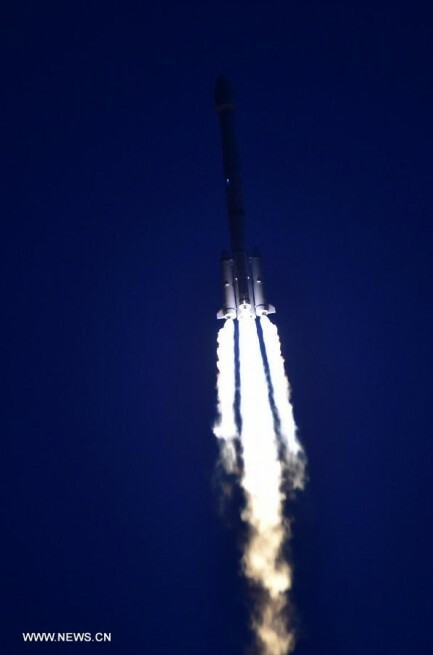 The satellites, designated BDS (short for BeiDou Navigation Satellite System) M1-S and M2-S were put into a medium-Earth orbit (MEO) about 13,700 miles (22,048 km) above Earth, three and a half hours after the launch. The Long March-3B booster lifted off the satellites using the new Yuanzheng-1 (Expedition-1) upper stage. It is an independent system installed on the carrier rocket with the ability to send one or more spacecraft into different orbits. This stage can support long mission durations with long coast phases to directly insert payloads close to their target orbit. Yuanzheng-1 can be compared to the Russian Fregat Upper Stage that is often used on the Soyuz rocket to deliver a range of payloads to orbit, including Europe’s Galileo Navigation Satellites. After the launch, the rocket started heading to the southeast towards an orbital inclination of 55 degrees, firing its large core stage and four liquid-fueled boosters delivering a total thrust of approximately 604 metric tons. 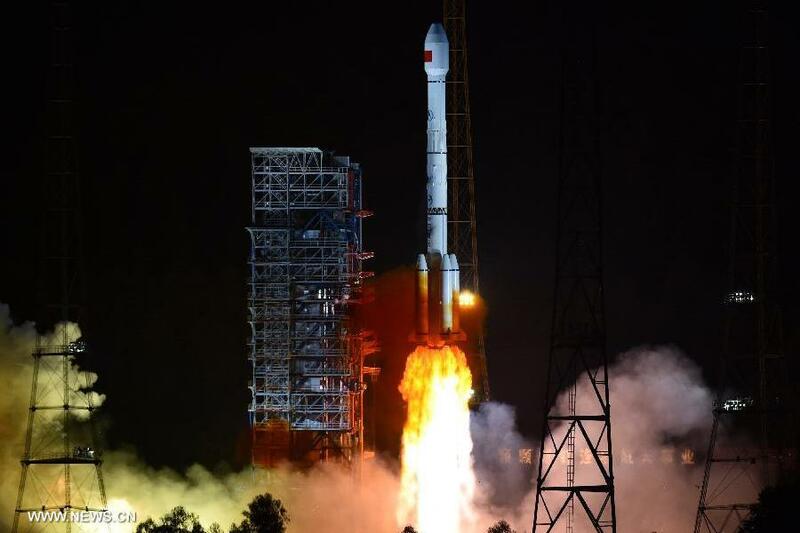 The two satellites launched on Saturday are the 18th and 19th of the BeiDou system and the 2nd and 3rd for the third phase (BeiDou-3) of the network. They use a new dedicated bus (DFH-3B) provided by the China Academy of Space Technology (CAST) with a phased array antenna for navigation signals and a laser retroreflector. The launch mass is about 1,764 lbs (800 kg), and the satellites have a lifespan of five years. BeiDou provides global coverage with positioning, navigation, and timing services, including two kinds of service modes: an open service and an authorized service. The open service is provided free of charge – location, velocity, and timing, with positioning accuracy of 33 feet (10 meters), velocity accuracy of 0.65 feet (0.2 meters) / second, and timing accuracy of 10 nanoseconds. It is hoped that this system will provide more secure position, velocity, timing, and communications services as well as a higher level of integrity. The China Satellite Navigation Project Center is in charge of program management. The system has been gradually put into use in extended sectors including transportation, weather forecasting, marine fishing industry, forestry, and telecommunications. China launched the first BeiDou satellite in 2000 to provide an alternative to foreign navigation systems. The country aims to launch a total of 35 such orbiters and complete the global network by 2020. The constellation, which currently covers the Asia and Pacific region, will be expanded to the whole globe when completed. The Civil Aviation Administration of China (CAAC) will use the BeiDou system to monitor passenger and cargo flights. It could also help search and rescue operations after a plane crash. The 185 feet (56.3 meters) tall Long March-3B is the most powerful Chinese launch vehicle. It is a three-stage launcher with four boosters installed on its core stage to be able to loft payloads into low-Earth Orbit (LEO), MEO, Geostationary Transfer Orbit (GTO), and Interplanetary Trajectories. The first launch of the Long March-3B took place in 1996 when the rocket delivered the Intelsat 708 satellite into orbit. Saturday’s launch was the 206th flight of China’s Long March rocket. Three additional Beidou-3 launches are expected to take place throughout the course of this year.